The Barbour Barnacle Wax Jacket takes its style inspiration from the much loved Barbour Trevose Jacket. 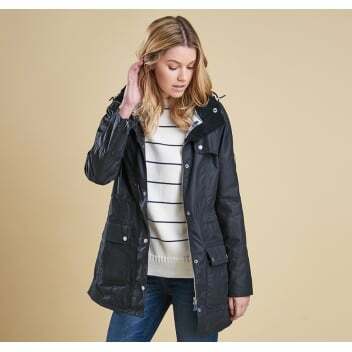 Styled in respect to Barbour's maritime heritage with wave stitch detailing and gorgeous beachcomber cotton lining. Featuring a stud off hood, inner drawcord to fit the coat to suit you best and finished with 2 studded lower pockets, beautifully stylish and practical!